Learnin' (54/365), originally uploaded by Headphonaught. 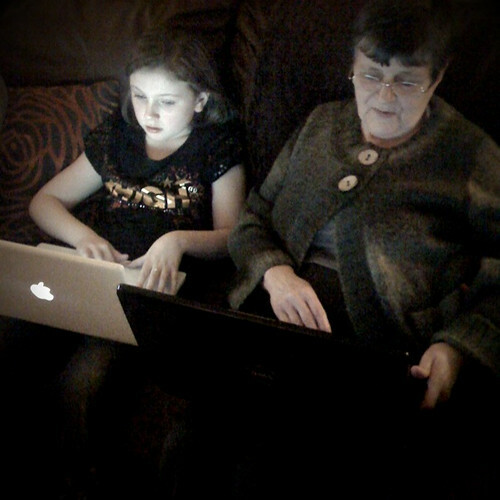 It was awesome to watch my 9 year old daughter teaching my 60-something mother how to use gmail this evening. There was a commonality of willingness and learning that I thought was beautiful to witness... and was glad to capture the moment for today's Project365 pic. Yes it was good to see Thomas. These are nice family memories. 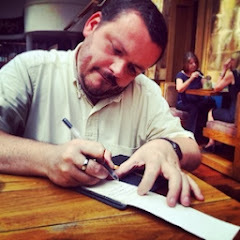 Your Mum is coming on steadily and has sent some more emails.